Have you ever been grumpy, only to realize that you’re hungry? 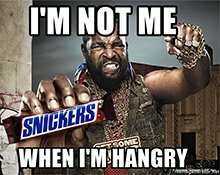 Feeling hangry has become a meme, even used in ads. But how does it work, psychologically? 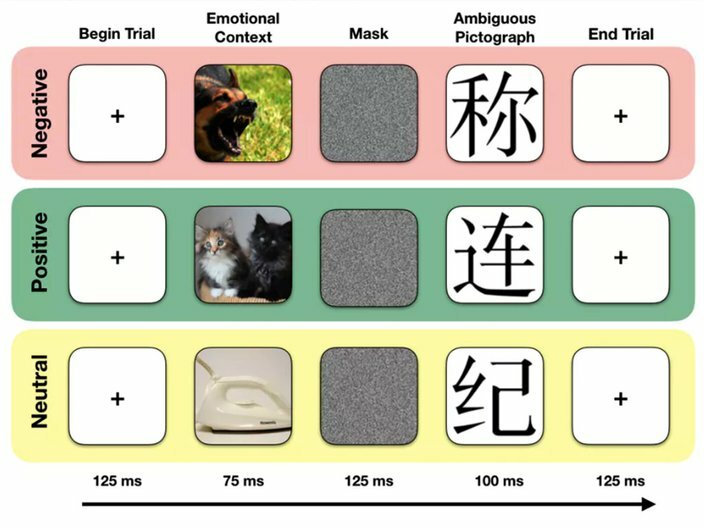 Each trial consisted of either a randomly selected negative, positive or neutral emotional image, meant to serve as emotional context, followed by a randomly selected Chinese pictograph, meant to be ambiguous to English speakers. Participants then used their gut feelings to judge whether the ambiguous pictograph meant something unpleasant, pleasant, or neutral. First, it may seem obvious, but pay more attention to your hunger. 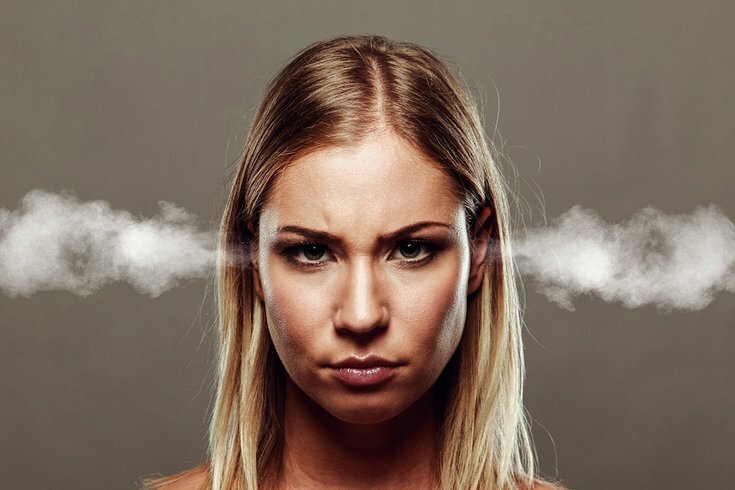 People vary a lot in how sensitive they are to hunger and other bodily cues. Maybe you don’t notice you’re hungry until you’re already ravenous. Plan ahead – carry healthy snacks, eat a protein-filled breakfast or lunch to give you lasting energy – and set yourself reminders to eat regularly. These basic precautions help prevent you from becoming overly hungry in the first place.